Most of the original LOTR cast remains unconfirmed, but Elijah Wood's definitely reprising Frodo. Frodo's not in the book, so what's his role in The Hobbit? Spoilers away! 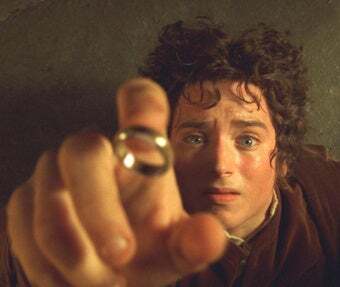 The fictional book, and either the telling from it or the reading of it, will establish Frodo in the films experiencing Bilbo's story. Viewers are to learn the tale of ‘The Hobbit' as a familiar Frodo gets the tale as well. So yeah, Frodo's a means to acclimate audiences to Bilbo's earlier foibles. It is however nice to know he's being portrayed by Wood and not, say, Bobcat Goldthwait. Actually, that would be awesome.